Detroit: Become Human Trailer E3 2017 | Nerd Much? 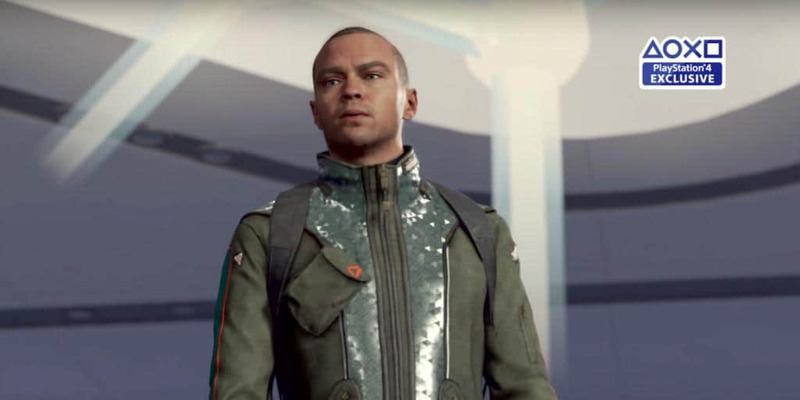 Another year, another E3, and another trailer for Quantic Dream’s Detroit: Become Human. They take about as long to make a game as CD Projekt Red, but boy is it worth it. This trailer begins with one of the androids singing “hold on just a little while longer, everything will be alright.” A sweet sentiment, despite the clear unrest among androids. It seems that either humans are at the pinnacle of cruelty and have forgotten that slaves have souls too, or are simply ignorant of their increasingly sentient androids. By a simple touch, the main character of this trailer seems to wake up the other androids somehow, giving them the independence needed to rebel against the humans. The decisions are many and varied. Do you use violence and kill as many humans as possible? Or do you try peace, and lose too many friends in the process? The trailer seems to imply that you can choose from than just two black and white decisions, and that you can preview their outcome before deciding properly. Allowing the player to go back on the moral map, as it were. In the trailer, the main character and his friend infiltrate an android store. It goes wrong and the main character has to decide to run and save themselves, or stay and save the other androids. There is certainly a lot of inspiration taken from Heavy Rain, one of Quantic Dream’s first games, but it is still very much unique enough to be it’s own game. Detroit: Become Human will coming on the PS4, and still no release date.